DLO HipCase for iPod touch is a folio-style case. 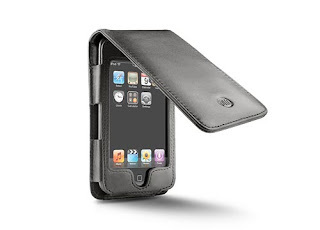 With a padded flip-up cover with hidden inner pocket, a leather-covered belt clip, and total iPod access in one sleek leather package, this iPod Touch case gives your iPod Touch full body protection. The DLO HipCase is made from fine-quality leather and featuring a soft fabric-lined interior. In the padded cover of this iPod Touch leather case, there's a hidden pocket that you can put your cash, credit cards, or ID. There's also an access to the earbud jack as well as to the dock connector. You can plug in and sync your iPod Touch without having to remove it from your HipCase, even when it is closed. 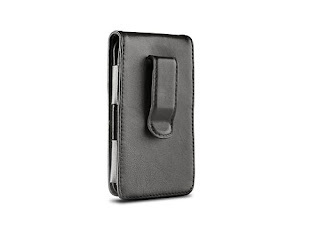 Like some other iPod Touch cases, the HipCase also comes with a sturdy, leather-covered belt clip. It enables you to securely clip your iPod Touch to your belt or backpack. "This is the best case and first time ever I found a great case for any gadget of mine in USA. Perfect fit, good quality, looks great. One reviewer has mentioned no plastic to protect screen, but I think that is ok because you are supposed to touch the ipod touch :) to use it, hence in fact if it had a plastic cover on screen, I would give it one star and not buy it. This case also has a small hole cut out on top to let light fall on the ambient light sensor which automatically adjusts brightness of the ipod touch. Get this case asap." 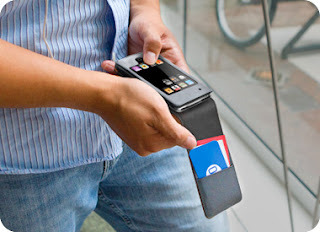 "Reasonably priced and fits my Itouch perfectly. It looks/feels like it costs MUCH more. All functions are fully accessible. Really--it's your basic "no-brainer" if you need a case for yours." "After searching high and low for a folio style case for my new iPod Touch, I was thrilled to see that DLO was offering a nice, padded leather case for the Touch. I have purchased DLO cases for my iPod Nano (1st gen), and for my daughter's Sadisk Sansa e260 MP3 player. DLO really makes nice cases for MP3 players. This new DLO HipCase Folio for iPod Touch is very soft and padded. The magnet closures for the flip cover are a very nice touch. The belt clip is built on the case and is very slim; unlike those bulky, cheap plastic clips like so many other manufacturers use. The plasic clips break easily and make the cases stick out from your belt far too much. The iPod Touch fits in this case perfectly, and all of the ports and buttons line up just as they should. You don't have to take the MP3 player out of the case to charge it or for anything else. It provides the right amount of protection without adding an ulgy, bulky look to the sleek, thin design of the player. I highly recommend this case to everyone with an iPod Touch! The price is great and the quality is superb! =o)"